We live in a crowded suburb of Knoxville on a postage stamp-sized piece of property. It’s just big enough to allow our three active kids with a small place to get outside. 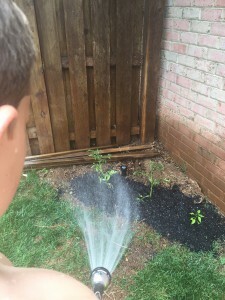 For the past three years, however, our youngest son Britton has carved out spaces around the house to plant tomatoes, peppers and herbs. He’s discovered that even simple plants aren’t easy to grow. There are rocks in our yard…even slabs of hidden concrete. The ground slopes dramatically and we have an abundant supply of weeds and insects. Britton doesn’t complain. He finds creative spots to plant his vegetables each year. He’s successful despite the obstacles. The original farmers had it easy. God provided fertile, rich soil and a steady supply of water. Fruit trees were everywhere. God granted Adam and Eve free reign to work this beautiful place with one exception- they were forbidden to eat from the tree of the knowledge of good and evil (Genesis 2:16 and 3:3). We know the rest of the story. Adam and Eve were tempted by the snake, which convinced them to eat from the forbidden tree. Sin and strife entered the world as a result of their disobedience. Adam and Even had to leave the beautiful garden. God made the ground hard and filled with thorns and thistles. Sweat and toil would be necessary to work the fields and provide food. I’m truly no different from Adam and Eve. I know what’s wrong and what’s right, yet I am tempted by the delights of this world and routinely fall short of His purpose for me. Like the original farmers, poor choices make my life more difficult than it has to be. We have a Savior that loves us anyway- despite our bad decisions. It’s our responsibility to learn from the past and discipline ourselves through study and prayer to have a heart like Jesus. I can learn a lesson or two from Britton’s garden. Obstacles and setbacks are everyday occurrences in this life, but we just have to keep working. The rewards are eternal. Please pray for me. Let me know how I may pray for you. God bless. 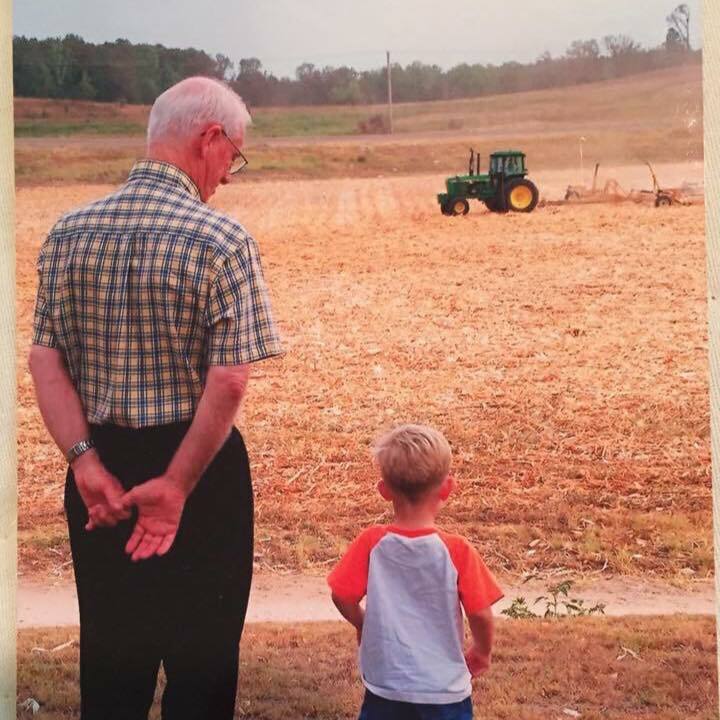 Some of my earliest memories involve my dad. He was a really good high school coach in Crockett County. 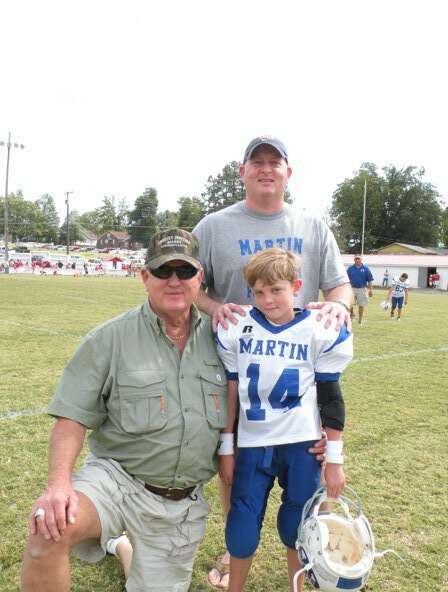 I still remember sitting near him on the bench during hotly-contested basketball games…watching him plot plays, scheme defenses and berate referees. Those gyms were packed full of people- and dad’s bench seemed to be at the center of my small universe. He taught me how to tie a lure, throw a spiral and change a car tire. He showed me how to race go carts and went with me to buy an engagement ring for Hollianne. I’m grateful that he’s now teaching my children some of those same lessons. Sunday is the day we “officially” recognize our fathers. 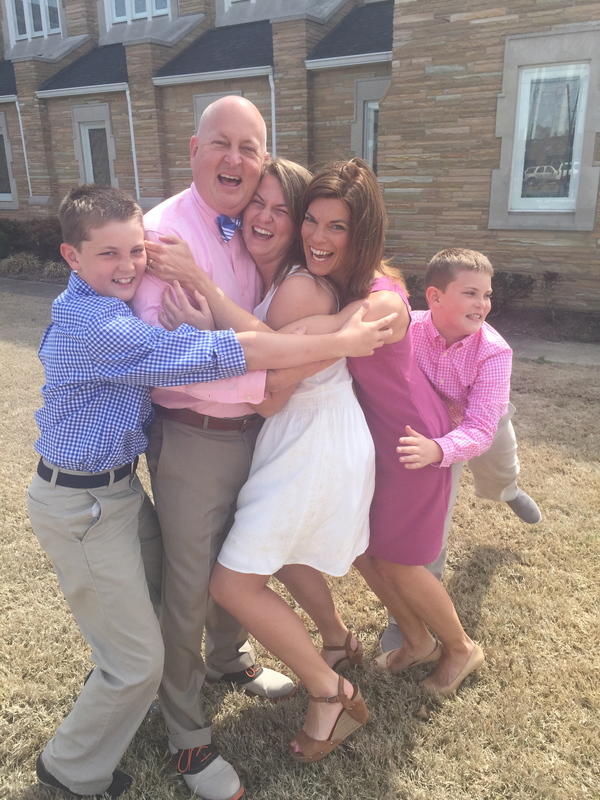 I’m in a great place right now…as I can celebrate my relationship with dad, as well as experience a wonderful day with my kids. For many people, however, Father’s Day can be painful. Hollianne lost her father last Thanksgiving. Mr. Tommy was a wonderful man…generous, loving and compassionate. His life and presence left a vault of good memories for his family, but his absence is painfully obvious this year. Some of my friends never knew their father…or were abandoned as children. This void can be a difficult one to fill. We, however, have a heavenly Father that cares for us beyond imagination. No matter what life throws at us- stress, illness, or disappointment- we have a Father who will be with us. God has a plan for our lives. While we cannot know what will happen tomorrow, we can rest assured that our Father will face tomorrow with us. God’s uncompromising love. Just think of it as the best Father’s Day gift ever. Pray for me this week. Let me know how I may pray for you. God bless. I passed out in my office last Friday. It was vertigo. I felt like the whole world was spinning around and I couldn’t stop it. It didn’t matter if my eyes were open or shut…my body felt like it was spinning out of control. The next 24 hours were frustrating. In addition to the dizziness, I experienced headaches. Bright lights caused my eyes to water. I couldn’t focus on anything. Fortunately, the symptoms were temporary. This isolated situation created an interesting parallel to my entire life (lately). I’ve been presented with an unusually high number of distractions at work and home. I’ve had lots of unexpected work travel and the kids’ schedules have been hectic. Something had to give. Unfortunately, what suffered were the activities I needed most. My prayer life fell off. I went several weeks rushing through my personal study of Matthew. I was doing the bare minimum to prepare for my weekly men’s group. I’ve been busy- but not about the right things. It reminded me of the story of Jesus visiting the home of Martha and her sister Mary in the book of Luke. The world will create chaos that distracts and confuses us. Our primary focus should be on our relationship with Jesus. We need less Martha and more Mary. My prayer for the upcoming week will be for more focus on Jesus and less on the distractions. Please let me know how I may pray for you. JT, our thirteen year old son, has spent a considerable amount of time in the water lately. He’s training for his first sprint triathalon…a 1/4 mile swim in Kentucky Lake, then a 16 mile bike ride and culminating with a 3 mile run. It’s an ambitious goal, but he’s enjoyed the training. 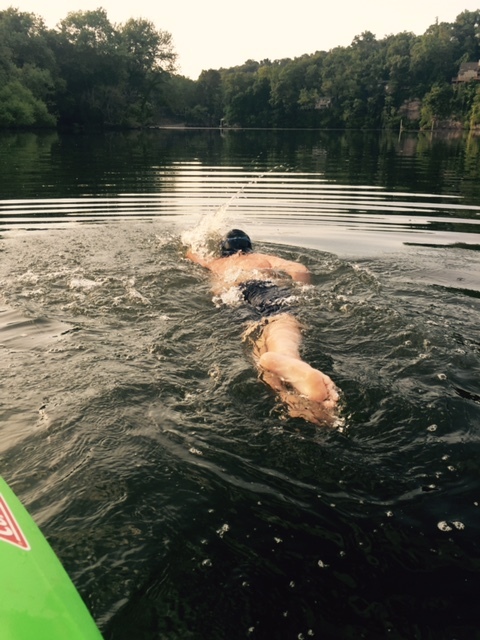 To prepare for this event JT is swimming in the Tennessee River near our home. It’s a different experience for him…as he’s had to get out of his comfort zone. The scenery is beautiful, but the dark water of the river is a bit intimidating. While the surface is peaceful and calm, there can be dangerous things lurking underneath. It’s what you can’t see that bothers you during the training. There are logs, hidden currents, and submerged trash. It’s a constant reminder that things aren’t always what they seem. It’s a great analogy for my own life. My office is filled with photos of a smiling wife and happy children. Facebook and Twitter illustrate fun experiences with family and friends. We attend church as a family every Sunday. I talk about my rewarding job and interesting co-workers. Life is good right? There are many flaws right under the surface of my life. While I try my hardest to put on a big smile, if I’m honest I’ll admit that I’m scarred and broken just underneath. Jesus is concerned with the depth of love I have for my wife and children. He wants me to invest in the lives of others. He cares about my thoughts, my purpose and my intentions. My prayer this weekend will be that we focus more on the matters of the heart- and not the superficial. Please pray for me. And let me know how I may pray for you.